I love nature. I may not love the gross insects and the feeling of wet grass, but I do enjoy admiring the pretty flowers and breathing in the fresh and pleasant scent of nature – it’s just so calming. Even though this is something that I really do enjoy, I actually never ever have the time to go out and experience it as often as I would like. But I guess thanks to Rain’s new range of African Tree Mists, being able to breathe in the majestic fragrance of nature, is something that I can enjoy everyday from the comfort of my home. I was lucky enough to receive two of Rain’s amazing African Tree Mists, one from their event that was held in March of this year and the other from the Durban Blogger Meet in April. So before I go on ranting and raving about this wonderful product and why I love it, let me tell you exactly what a Tree Mist is and where they come from. So, these lovely mists offer “the therapeutics of the Bach Remedy type essences as well as the deeply evocative aromas of the Cape mountains, golden sunshine and African soil”. Melissa Krige, the custodian of the Platbos Forest (the precious forest from which the mists are sourced), has created these one of a kind African Tree Mists by carefully blending essential oils with the essences of the various plants that make up the African Tree Mist Range. The tree mists allow you to bring the power of healing nature into your workspace by spraying the mists all over your face, body, office or home. By inhaling the essence of natural trees and wild vegetation it can significantly strengthen your immune system and reduce your stress levels. Even scientific research in Japan has proved that by allowing nature to enter one’s body via the various senses, affect both the body and brain in a positive way. Well done Rain! You guys are definitely on the right track! The mists are available in 8 different tree scents : Black Bark, Hard Pear, Saffronwood, Bush Olive, Milkwood, White Pear, Umvumvu and Wild Peach. I received the Hard Pear and the Black Bark and they both are simply wonderful. I’m always stressed out when it comes to tests and exams, I guess it is due to me not wanting to fail and waste a year of my life, so it’s totally understandable. So whenever I want to de-stress or if want to get myself into an effective study mode, I usually shut my room door, spritz the tree mist all around my room and then I just sit down, close my eyes and complete a few breathing exercises – and I’m usually calm and stress-free within a few minutes. I allow the woody and earthy scents of the tree mists to engulf me and to trick my brain into believing that I’m surrounded by a ton of monstrous trees deep within a forest. 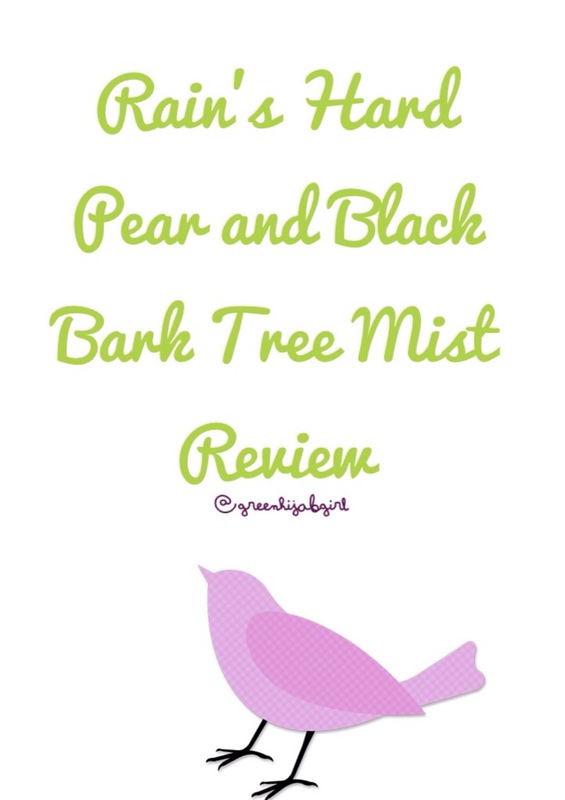 I don’t think I prefer one mist over the other, both the Hard Pear and the Black Bark are great in their own way. The Hard Pear mist is very normal, in the best sense possible. It brings the right amount of nature into your space and is a very familiar scent to me – it’s not too strong nor is it barely there. The Black Bark, on the other hand, is very peppery. It’s pungent, fragrant and very hard to miss – but definitely enjoyable and calming. I have tried spraying the mists on my face and body, but once again with my very sensitive skin, it didn’t work out well. My body ended up being quite itchy and I broke out on my cheeks and chin – so now I just stick to spraying it in my room. So, if you would like to get your hands on these awesome African tree mists then you can shop online here or you can pop into your nearest Rain store. These little darlings retail for just R125 each and are a definite must-have if you are a nature lover or a ball of stress – or both, just like me!